Roasted tomatoes are simple to make and make a delicious side dish or topping for rib eye steak, baked potatoes, or even over pasta! 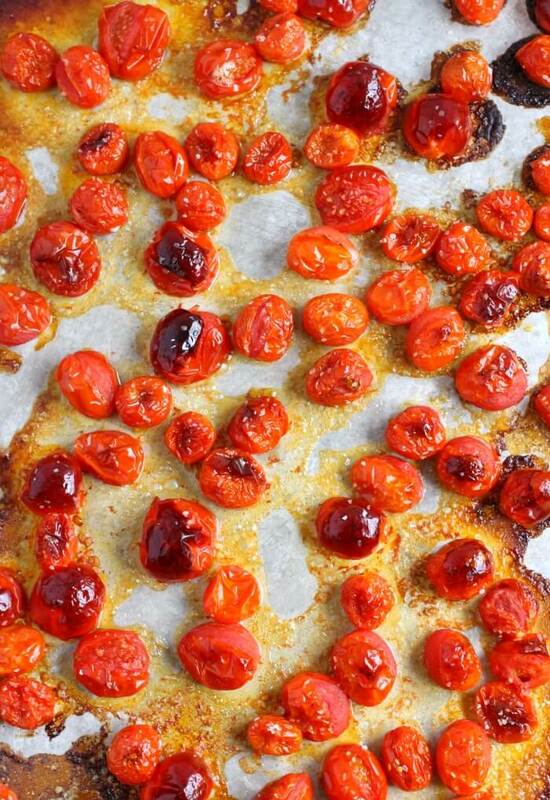 Roasted Tomatoes are a great way to use up tomatoes before they go bad (I feel like produce turns so quickly!). It’s also an easy way to bring out the rich natural flavors of a tomato. 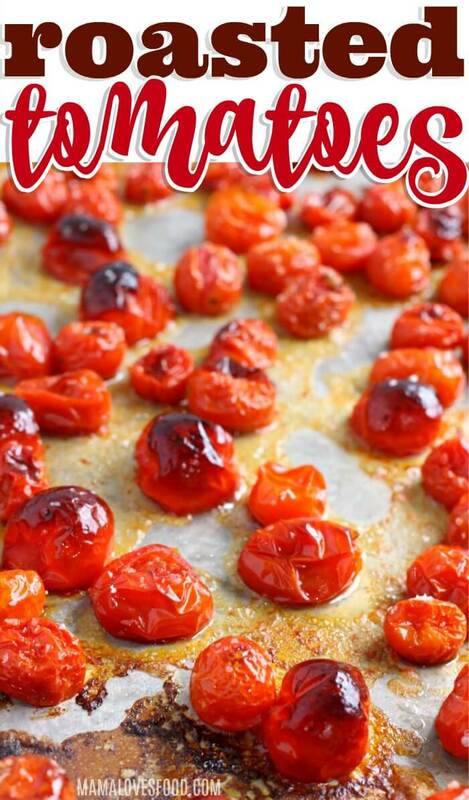 Oven roasted tomatoes, large or small, are so easy and delicious! Often on hot summer days we’ll eat outside, making a cheese board with olive tapenade, roasted tomatoes, and my french bread recipe. Paired with a glass of white wine or a cold beer makes a enjoying a warm night a breeze. Tomatoes – I love using whole cherry or grape tomatoes, but you can use larger tomatoes as well. You can see in our pictures that we did a cherry tomato batch and a plum tomato batch! When you use cherry tomatoes, they’re sometimes called “burst tomatoes” because they will burst open when cooking. Olive Oil – The flavor is going to come through, so use a good quality oil. Kosher Salt – The salt will draw out moisture and add flavor. First, halve or quarter whole tomatoes. If using cherry or grape, leave whole. 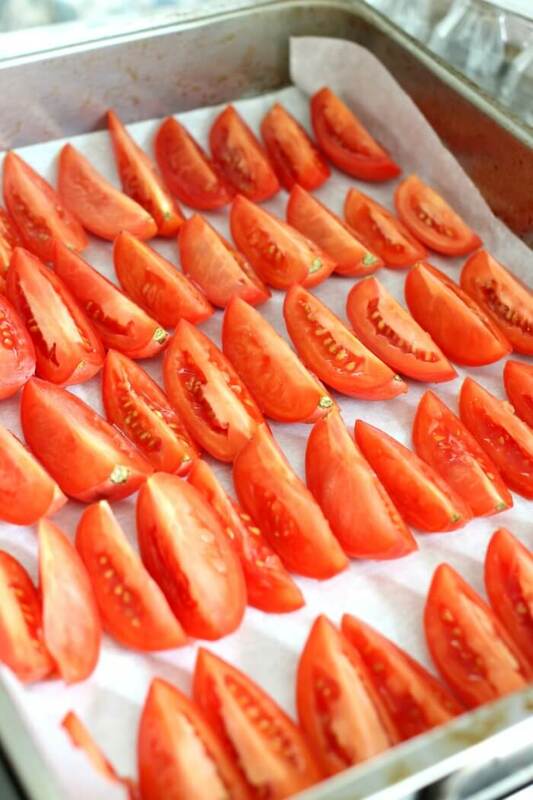 Next, place tomatoes on a baking sheet in a single layer (skin side down for cut tomatoes). Then, drizzle lightly with olive oil and sprinkle with salt. Finally, roast on center rack of oven. Roma tomatoes for sauce, due to their thicker skins and lower water content. Also best for canning. Cherry or grape tomatoes for eating whole, as on bruschetta, due to their bite sized packaging. Any tomatoes will work for almost any dish once roasted! ★ Choose a mild or high quality flavorful olive oil. There are only three ingredients, so make sure you like the flavors you’re adding. 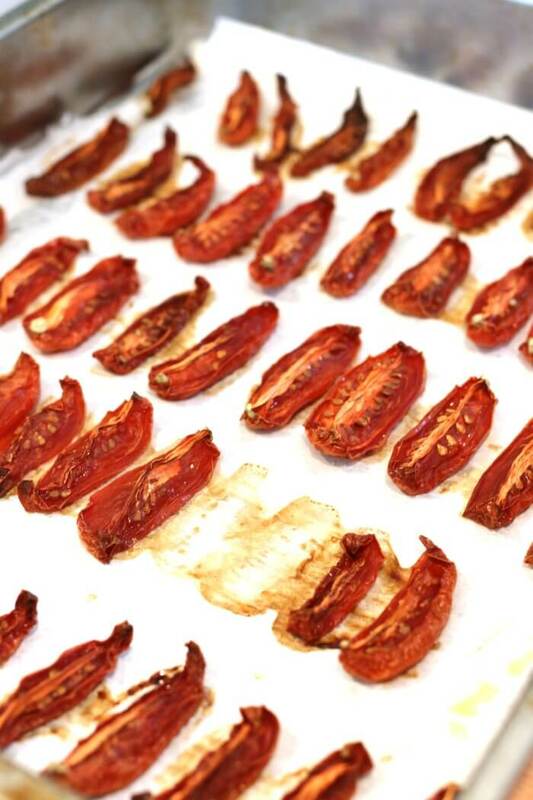 ★ For a chewier more “sun-dried” tomato, cut the temperature in half and at least double the bake time. Keep an eye and pull them out when the tomatoes have roasted to your desired consistency. ★ Line your baking sheet with parchment paper for easy cleaning. If you don’t line your baking sheet, you may notice that it’s SUPER clean in the spots where the tomatoes cooked after you wash. This is because the acidity of the tomatoes + the heat of the oven will get rid of stains! 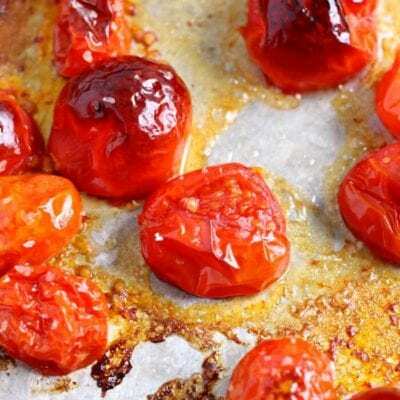 ★ You can roast tomatoes in a toaster oven! I love to roast the last few tomatoes in our toaster oven before they go bad. No need to fire up the wall oven. They will last 3-5 days in the refrigerator if stored in airtight plastic bags or containers. 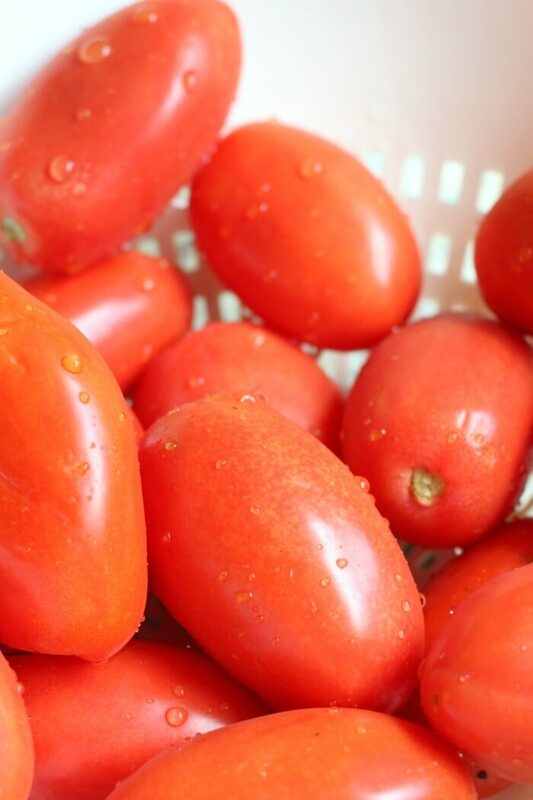 Cooked tomatoes do freeze well, and can be used in sauces, stews, juice, or the recipe of your choice. 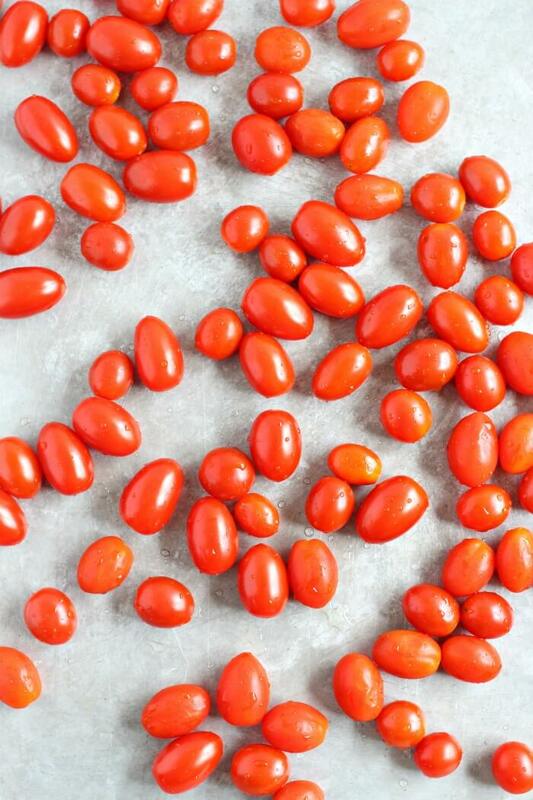 You can also freeze the roasted tomatoes after they are cooked. Tomatoes can be kept in the freezer indefinitely, but will have the best texture and taste if used within six months. 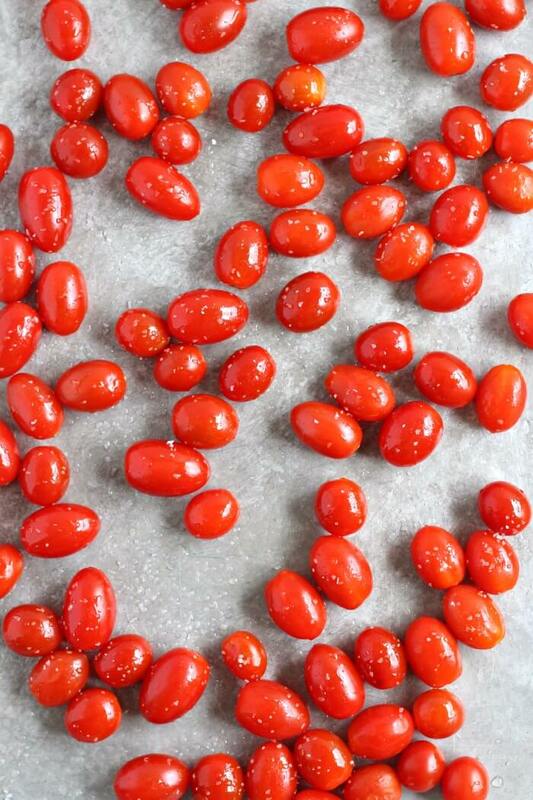 Thaw frozen tomatoes by placing in refrigerator 24 hours before you want to use them in your recipe. You can preserve roasted tomatoes by canning. Follow a canning recipe that includes an acid, like vinegar or lemon juice, as canning requires a specific pH for safety. Fire Roasted Tomatoes are technically tomatoes roasted over an open fire. 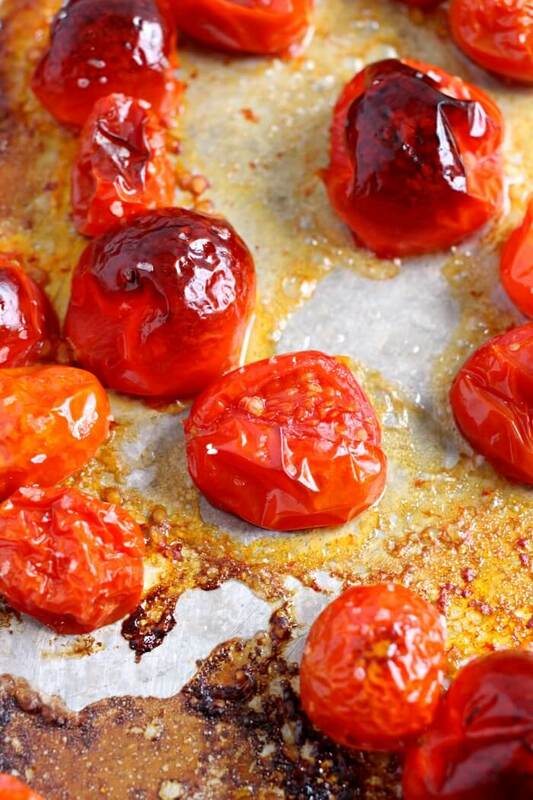 To get a “fire roasted” taste on your oven tomatoes, let them cook til slightly charred in spots (you could move roasting pan closer to broiler and broil for a few minutes at end of roast). These charred spots will add a fire roasted quality, especially if chopped an added to other recipes. Roasted tomatoes are healthy; in fact, cooked tomatoes are healthier than raw tomatoes! Tomatoes contain lycopene, which is a powerful free radical scavenger–this means they may be helpful in preventing cancer. Lycopene and other phytochemicals are released by cooking the fruit, so they are more accessible to your body. Cooking tomatoes does reduce their vitamin C content, but the trade off for more lycopene is worth it overall according to food scientists. Roasted tomatoes are keto, in that they are low in carbohydrates and high in nutrition. The addition of olive oil increases their fat content as well, which is considered good on the ketogenic diet. Soups, sauces, toppings, oh my goodness – it’s hard to think of something they wouldn’t taste good with these! Soups – like sauces, roasted tomatoes added to soup make the flavors more complex. A simple recipe is to add your tomatoes to a high speed blender, adding chicken broth and avocado for a smooth, creamy bisque. Salsas – mix in with other classic salsa ingredients, like chilis and onions. Especially good with the “fire roasted” type of roast. Try them in our simple pico de gallo salsa! Roasted Tomatoes are a great way to use up tomatoes before they go bad (I feel like produce turns so quickly!). It's also an easy way to bring out the rich natural flavors of a tomato. Oven roasted tomatoes, large or small, are so easy and delicious! If using normal sized tomatoes, halve or quarter. If using cherry or grape tomatoes, leave whole. 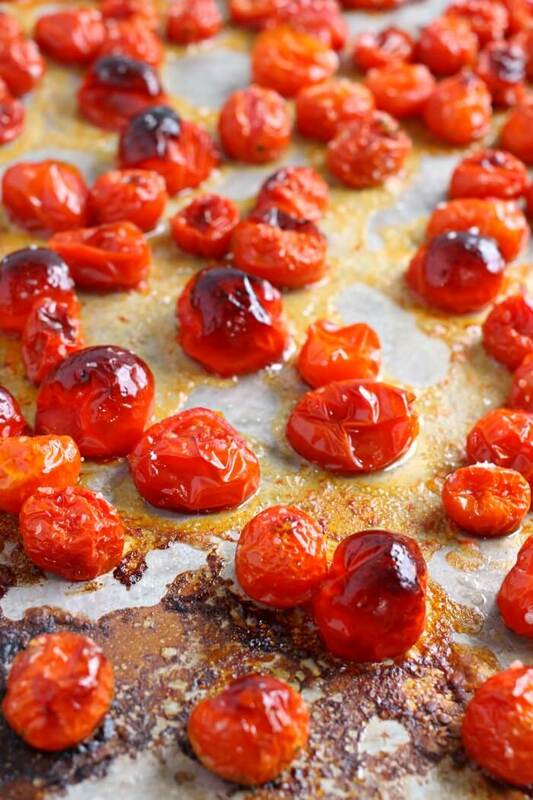 Place tomatoes on a baking sheet in a single layer (skin side down for sliced tomatoes). Drizzle lightly with olive oil and move the tomatoes around a bit to make sure the oil gets under them too. Roast on center rack of oven at 425 degrees for 30 minutes. 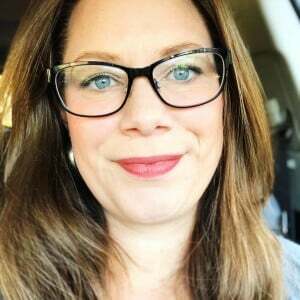 You answered all of my questions about roasting tomatoes! Thanks!